I always look forward to Macomber's Christmas stories each year. This is another sweet romance that is perfect for the season! Josie was hired on as a chef for a very remote hunting and fishing lodge in Ponder, Alaska with a population of about 300 people. She has enjoyed her stint there, which has allowed her to experiment and create new dishes. The locals all love her, especially Palmer who felt an instant attraction to her. Palmer, a master swordsmith, and Josie have developed a sweet relationship during her stay there and his sister pushes him to tell Josie how he feels before she's gone forever. Once the season is over, Josie will return to Seattle to a job that is already waiting for her. She is looking forward to working with the chef who owns this restaurant and feels that it will be a great start to her career. The night before Josie's departure, Palmer proposes to her and Josie doesn't know what to say. She's torn because she has feelings for Palmer but can't fathom the thought of being happy living in Ponder! She feels as though she'd be giving up her dream job for him if she stayed. When she returns to the lodge, the owners tell her to leave her bags in the lobby as the ferry will be coming very early in the morning. Josie, mind reeling from Palmer's proposal, takes something to help her sleep. She forgets to leave her bags in the lobby, and she misses the ferry! 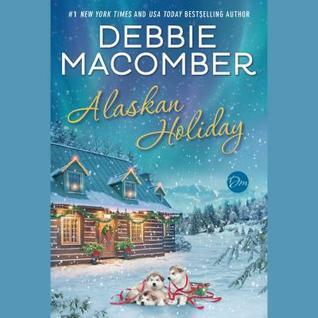 Palmer calls up an old friend and arranges a flight out of Ponder to Fairbanks, where Josie can get a connecting flight home. Josie's boss agrees to hold the job open for her, and she is anxious to get home. Once Josie is back in Seattle, she wonders whether she made the right decision as her "dream job" isn't all it's cracked up to be. I enjoyed the chaste romance between Josie and Palmer. As someone rooting for the romance from the sidelines, it was frustrating to see their communication falter across the distance due to wrong signals. I liked the whole sense of community that Ponder offers, and the small town is appealing to me. 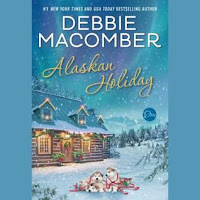 I also really enjoyed the remote setting, having absolutely loved another one of Macomber's Alaskan romances, Starry Night. The people in Ponder seem to genuinely care about each other and are willing to lend a hand which was really nice to see. 3 stars!! It was good, and I enjoyed it! Thanks again to Random House Audio for the opportunity to listen to this audiobook!